PEARL FISHER nominated for the Nordic Council Children and YA Literary Prize! 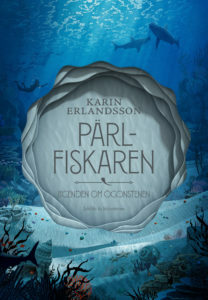 Karin Erlandsson’s THE PEARL FISHER, a children’s novel set in a magical underwater world, has been nominated for the Nordic Council Children and Young People’s Literature Prize in both Finland’s and Åland’s categories. Just in February THE PEARL FISHER was awarded the Runeberg Junior Prize, often considered the second most prestigious literature prize in Finland. THE PEARL FISHER will start a series of four books. The next one, THE BIRD MASTER, will come out in the autumn of 2018. THE PEARL FISHER is a story set in a world in which colorful pearls are the most important currency. Miranda is the most skillful pearl fisher of all, and she believes she can find the pearl that everyone wants: the mythical eye gemstone. It’s been said that the one who finds this precious stone will never have to want for anything again, and generation after generation people have abandoned their families to find it. But when a babbling little girl Syrsa comes along to the hunt the adventure suddenly takes a dangerous turn. In the end Miranda has to decide what she really wants – and what is truly important in life. The novel, published in July 2017, was chosen as the winner of a children’s novel competition organized by Schildts & Söderströms Publishers in 2016, with children’s author Martin Widmark in the jury. In February 2018 the novel won the Runeberg Junior Prize and it was revealed that the story will grow to a four-book series called Song of the Eye Gemstone. The second part of the series, The Bird Master, will be published in the autumn of 2018. The Pearl Fisher was published in Swedish by Schildts & Söderströms and in Finnish translation by Kustantamo S&S. Karin Erlandsson (b. 1978) works as a culture reporter in Åland. 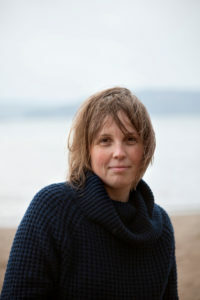 Her first novel Mink Farm (2014) was shortlisted for the Nordic Council Literature Prize. Misdeed (2016) was her first crime novel, and The Pearl Fisher her first children’s novel. London book fair starts in just a couple of weeks! You’ll find us in the International Rights Centre, table 3h – see you there! Carlos da Cruz’ colourful ANIMAL SCALEBOOK has been sold to the French publishing house Circonflexe. Circonflexe is a children’s and young adult publishing house with a broad list of quality titles from both French and international authors. 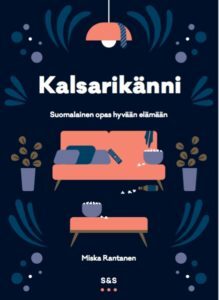 Miska Rantanen’s KALSARIKÄNNI – PANTSDRUNK: The Finnish Path to Relaxation has been sold to Paseka in Czech Republik and Ad est dell’equatore in Italy. Paseka is the publisher of many established Czech and international authors including Timothy Garton Ash, Alice Munro, Vladimir Nabokov, Amos Oz, Salman Rushdie, Roberto Saviano and John Updike. Ad est dell’equatore is a small but ambitious independent publisher from Naples. Founded in 2008, the publishing house has focused on short stories and biografies and other nonfiction titles. 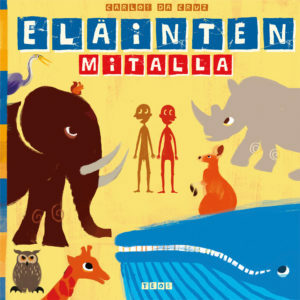 Helsinki Literary Agency will be at the Bologna book fair with its first ever children’s list (take a look here)! You’ll find us at the Finnish collective stand in hall 21, A69.